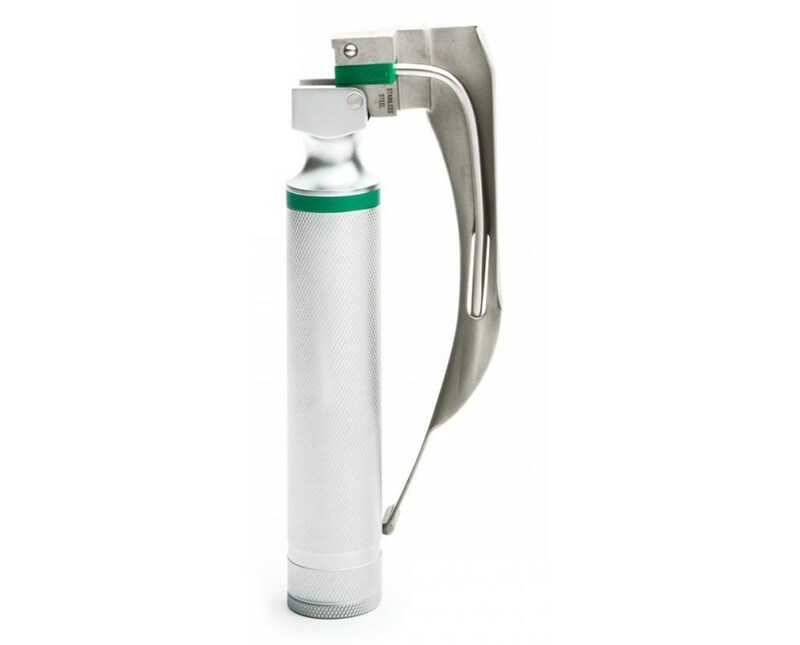 Select Handle Medium "C" Small "AA" Stubby "AA"
The ADC Fiber Optic Laryngoscope Handles offer quality and value for the discerning physician. They are finely crafted of chrome plated brass to ensure durability and quality of life. The handles feature a knurled finish for a positive and comfortable grip. The light source in the handles simplify blade cleaning to allow for a brighter, whiter light. The handles are color coded green to ensure that they are used with only fiber optic blades. Compatible with all ADC Macintosh and Miller fiber optic blades. 4065F-Medium "C" Size Battery Handle. 4066F-Small "AA" Size Battery Handle. 4067F-Stubby "AA" Size Battery Handle. All ADC products are assembled, package and inspected in the USA. 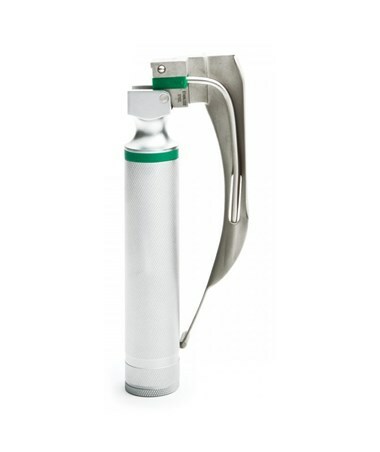 The Fiber Optic Laryngoscope Handles come with a generous 1 year warranty. Light source in handle simplifies blade cleaning, allows for use of brighter, whiter light. Satin handles with a knurled finish for a positive grip. Color coded green to signify compatibility ONLY with fiber optic blades. Available in traditional C, AA, and stubby (AA). Assembled, packaged, and inspected in USA. Choice of: 4065F Medium “C” Size Battery Handle 4066F Small “AA” Size Battery Handle 4067F Stubby “AA” Size Battery Handle.